Mudita is a final year engineering student from Mumbai. She is currently researching for and developing Augmenta11y. She interned as a developer for UnFound, a news aggregation startup in the summer of 2018. 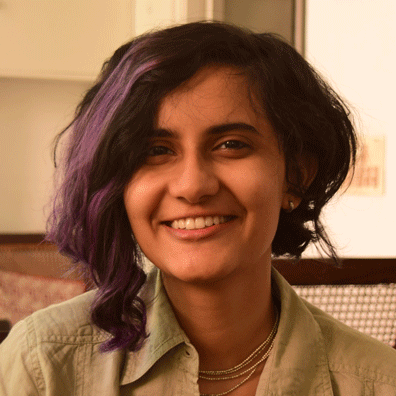 She completed a Front End Nanodegree from Udacity under their Google Scholars program in November 2018 and continues to experiment with new and fun front end technologies. In her free time, she likes daydreaming of painting murals.